This week's dinners are all from my fabulous recipe binder! Who knew there were so many good options in there? 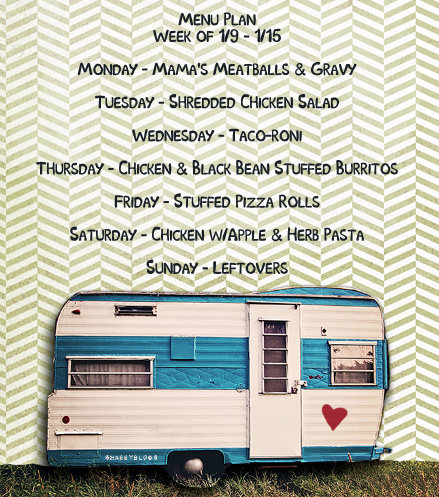 I will share these recipes with you throughout the week. 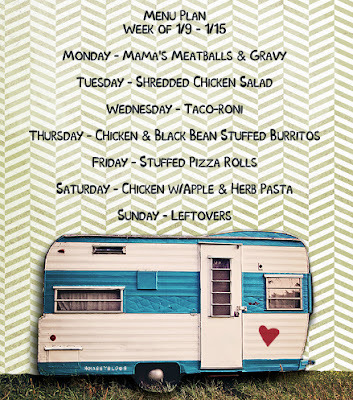 Did you make a menu for this week? It definitely makes life easier at our House!